Eureka! The National Children’s Museum welcomes author Anita Frost on Thursday 19 April for an interactive storytime session. Little ones will love to meet Green Bean & Mr Bear while listening to the wonderful stories from the Green Bean Collection by Anita Frost. Green Bean is a true delight to children and families from all walks of life. Green Bean has become a household friend for many children. 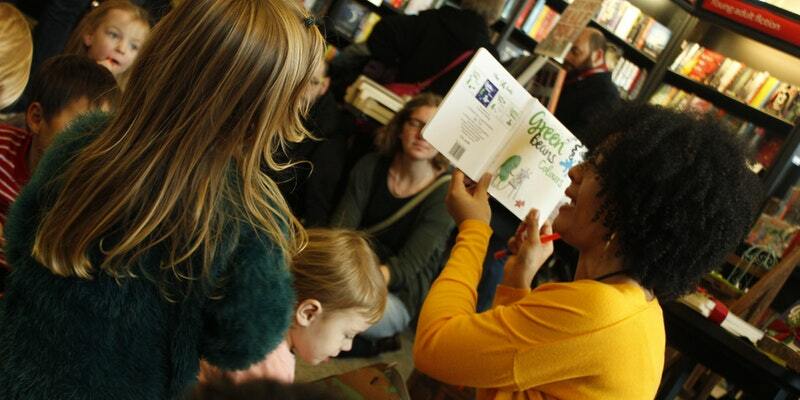 This interactive storytime session is perfect for children aged one to six years, each child will discover, learn and have fun together with the adventures of the Green Bean Collection. Please, note storytime sessions will run through the day subject to the below time slot availability each session last around 45mins to 1 hour. Visiting children receive a balloon and an interactive fun pack. Places are limited so please book a place at Eventbrite as above.